Venture for America 2nd round interview, and automatic entry to Greylock Hackfest. The best hack as determined by our generous sponsor, Venmo. Presented by Comcast. Includes chance to demo hack to CEO, Comcast NBCU. Winning team will also be given a behind the scenes VIP Technical tour of broadcast operations at 30 Rock in NYC followed by 4 VIP tickets to the taping of Late Night with Jimmy Fallon. Presented by Chegg. Includes free semester of HW help. Presented by Microsoft. Winners receive Surface Pros. Presented by Apple. Winners receive 64GB iPad mini for each team member. Presented by Google. Winners receive Nexus 4 phones for each team member. Presented by Epic. Winners receive $500 per person on Newegg.com and interviews at Epic HQ in Madison, WI. Presented by Yahoo. Includes trip to Yahoo NYC. Presented by Van Pelt Library. Presented by BloomReach. Winners receive Leap Motions for the team. Presented by Dwolla. Winners receive Raspberry Pi Starter Kits. Presented by VenturePact. Winners receive automatic entry into VenturePact incubator. Presented by Ink. Winners receive 4 iPads. Presented by Ink. Winners receive trip to Ink offices. Presented by Neo Technology. Winners will receive a Romo interactive robot for each team member. Best Hack That "Just Works"
Presented by Dropbox. 100GB Dropbox space and a Dropbox snuggie. Presented by Facebook. Winners receive (4) backpacks, fb bears, and pebble watches. Presented by Nuance Communications. Winners receive Nuanced NDEV Gold level service for any number of apps for one year. Presented by Point.io. Winners receive Point.io Kegerator. Presented by SendGrid. Winners receive 2 Massive starterkits for SmartThings (Know and Control your home). Presented by Shop Your Way. Presented by Twilio. Winners receive 3 Lego Mindstorms EV3 Robots. Presented by AddThis. Winners receive $100 Amex card. Presented by AddThis. Winners will receive an iPad 2. Presented by TokBox. Winners receive 3 solar powered chargers. Presented by MongoDB. Winners receive MongoDB swag. Presented by Mashery. Winner receives Ping Pong Pro Training Robot + Table Tennis Set + 1000 Ping Pong Balls. 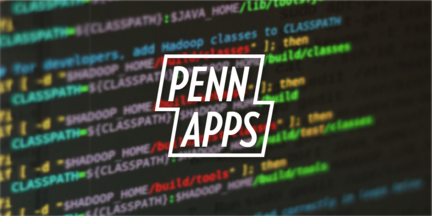 Welcome to PennApps, the world's top college hackathon! We hope you're as excited as we are for an awesome weekend! After the Friday night kickoff, all teams are allowed to begin working on their apps. Once your app is complete, we ask that you produce a video demo of your app and post it on Youtube or Vimeo. You can then submit your app and accompanying video using the above Submissions tab (which will appear after you hit the Register button). All submissions must be in by 9 a.m. Sunday morning.